After 2018.11 security patch update, I'm facing low voice from ear piece during active calls. Checked with OnePlus 3 device for reference and same problem is observed. Please let me know if there are any software issues. There are no software issues, please search before opening redundant threads. 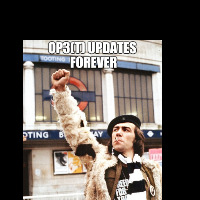 BTW for future reference if you have an issue you suspect is with a particular update, please read the update thread and if necessary raise it there.